Exceptional battery fit for purpose, highly reccommended. 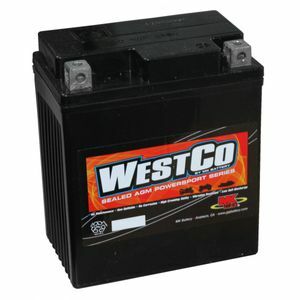 The old adage of buy cheap buy twice is never more true than when applied to vehicle batteries. Spending a bit more to prevent being stuck at the side of the road has to be good value. These gel filled high capacity batteries are awesome. Excellent product , holds good charge and fits a Honda Hornet perfectly snug if you take the sponge out at the base and put a thin bit in there. I ordered the battery, paid for it and waited for delivery. The delivery address is a business address which is open 7 days a week and has staff available from 0800 to 2000 every day. Your carrier stated he could not deliver to the address!! The probable reason was that he tried to deliver on the last day of last year and rather than effect the delivery he chose to finish early to begin his two days holiday and enjoy his break. I know that no attempt was made to deliver the battery as I was at the delivery point along with 2 others (bell on gate and side gate that is always open during business hours. A despatch error resulted in the wrong battery delivered. A quick telephone call, and its replacement was delivered the following day. Excellent service and product. Third battery purchased from Tanya,service excellent all arrived in 48hours .Betteries working well connected to vibrating old british bikes. A collegue of mine recommended you to me. It is too early to say how the battery performs, ask me in a year or twos time. Very pleased with service great product will use again.